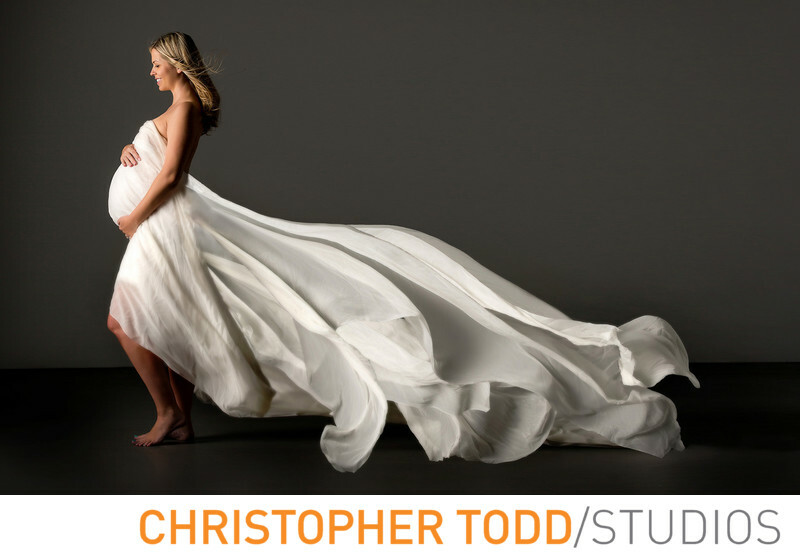 Choosing to have your maternity photos in our studio is a perfect way to create stunning images in a controlled environment. This means it doesn't matter what the weather is like outside. And we don't have to worry about distractions such as people walking into our frame. We want you to feel comfortable in our studio. We welcome you to relax, sit down on our comfy couch and have a refreshment. Non alcoholic of course for the expecting momma. We have a private changing room and a bathroom inside our studio. First and for most we want you to be comfortable. Whether it's the temperature inside, the outfits you wear, or the poses you strike. Once we sort all the details out, like the style of photos you want and the perfect look for you, we begin shooting. The session last around 1-2 hours, depending on the client. You can expect gorgeous studio lighting to enhance your photos. Choose from one of our backdrops that fits your style. Our maternity sessions are fun and we make it as relaxing as possible. We start with a concept. Together we plan out the style of photos you want. This is done before you come into the studio. Guidance. We help you throughout the entire process. Before, during, and after the session. This means we guide and pose you to look your best. We talk about what will make your photos stunning. Outfits that show off your belly perfectly. Hair and makeup advice. After the photos are taken we are there to help you choose the best one. The job is not done until you have a beautiful portrait to hold, hang on your wall, or a custom album for your coffee table. We want you to walk away with products that will become your most treasured heirlooms. Location: 211 E. Columbine Ave Ste D. Santa Ana, Ca 92707. 1/200; f/5.6; ISO 100; 85.0 mm.